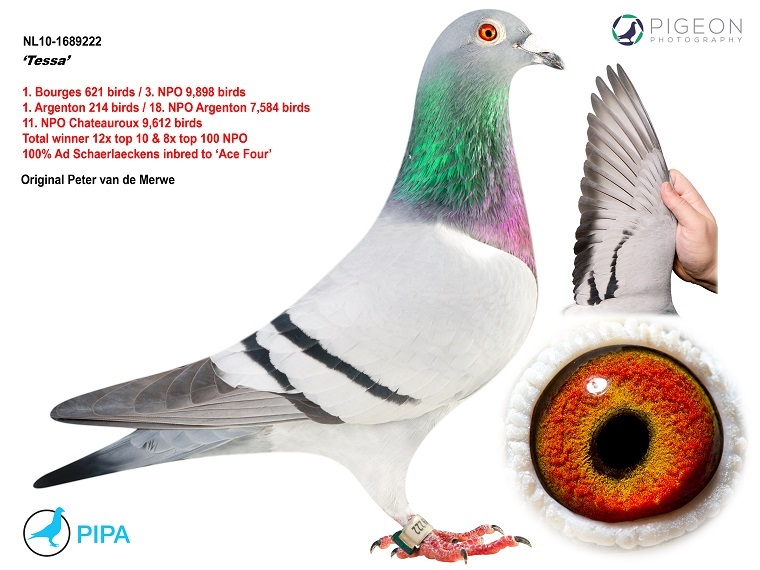 The pigeons of Peter and Gwen van de Merwe have shown to be in great shape in recent weeks. 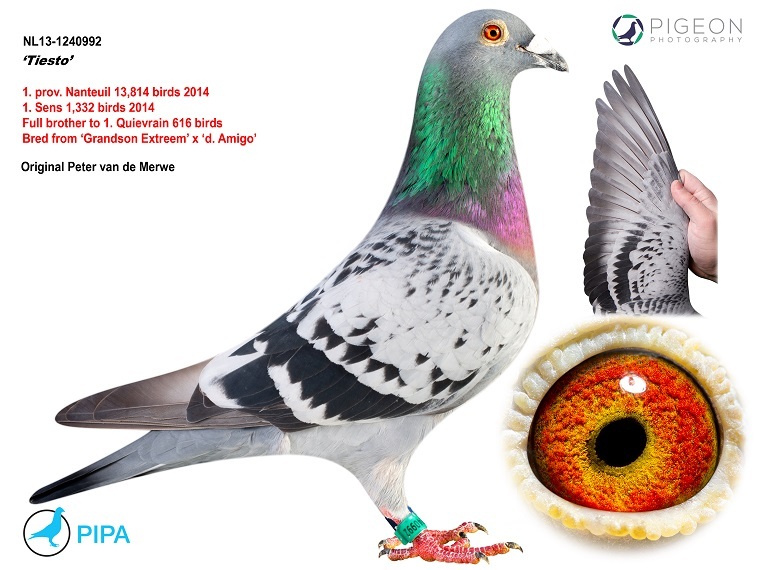 They demonstrated their form in the NPO race from Argenton, winning a 1st, 2nd, 5th and 6th against 8,125 pigeons. The pigeons of Peter and Gwen have been performing really well throughout the year. They have won several top prizes, as well as many great overall results. Last weekend's race from Argenton was another great success, with the team winning a 1st, 2nd, 5th and 6th teletext prize. We take a closer look at their last four races, just to give you an idea of how successful they have been along the way. 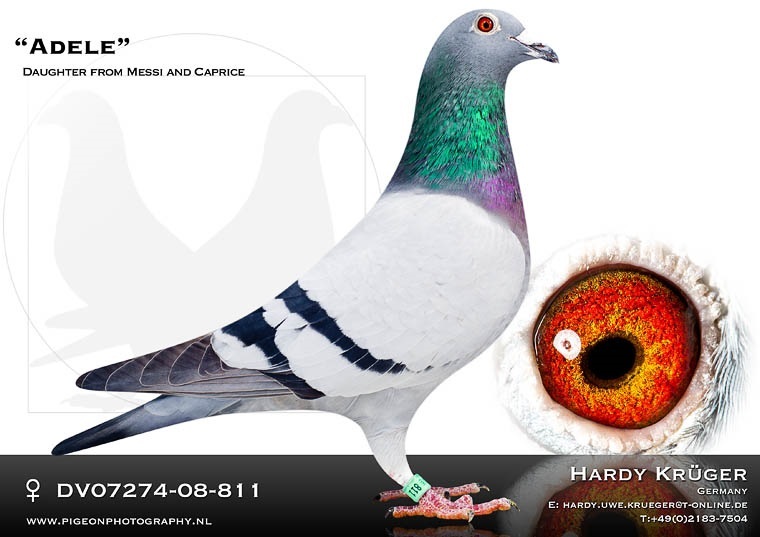 We will now take a closer look at the pigeons that won a 1st, 2nd, 5th and 6th teletext prize from Argenton. 1st NPO Argenton 8,128 p.
29th Pont St. Max. 234 p.
50th Asse Zellik    529 p.
2nd NPO Argenton 8,125 p.
130th NPO Argenton 7,374 p.
175th NPO Ruffec   3,780 p.
Racing bird 991 finished in 5th place. His sire is a 100% Leo Heremans. 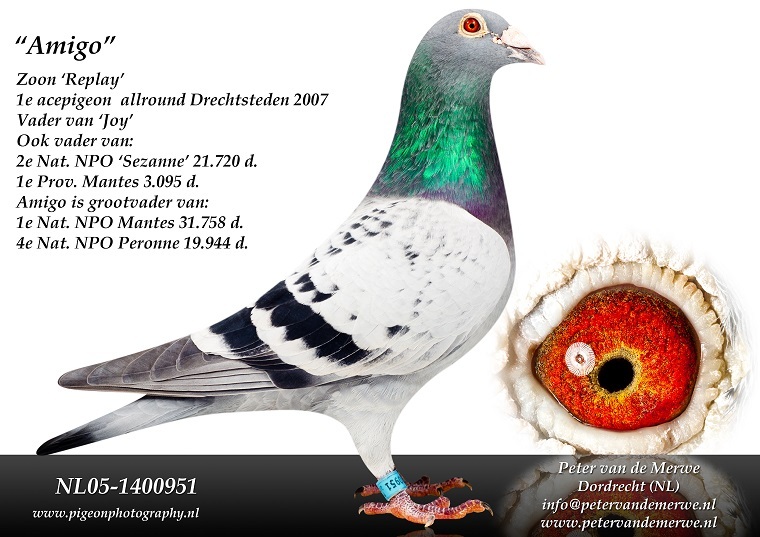 He is a grandson of Gilbert (1st National Ace Pigeon YBs 2011); the dam is Daughter Janneke. Click here for the pedigree of NL16-1527991. Besides his 5th NPO Argenton the 991 has als won a 6th NPO Pointoise (16,661 p.), a 17th Arras (920 p.), a 19th Vierzon (235 p.) and a 20th Peronne (2,812 p.). 6th NPO Argenton 8,125 p.
4th Chateauroux    206 p. (and 76th NPO 10,029 p.). 10th Bourges        284 p. (and 91st NPO 13,431 p.). 1st Nat. NPO Blois   15,172 p.
2nd Nat. Chateauroux 12,094 p.
3rd Nat. Chantilly   13,953 p.
Peter and Gwen have won numerous victories in recent years, both at national level and in the NPO. Their 1st NPO Argenton is yet another top result on their excellent list of achievements. 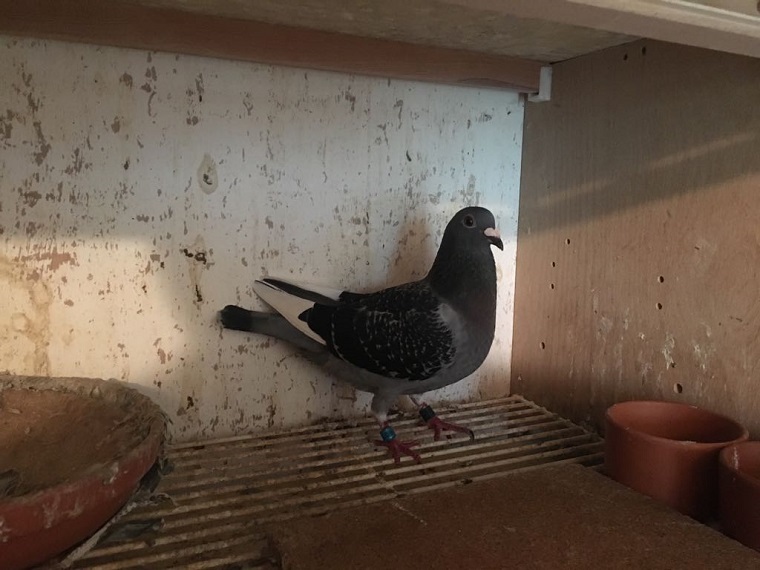 The Replay dynasty is still a fundamental part of this pigeon breed. The youngsters and grandchildren of Replay continue to play a major role in most of the team's best results, including the achievements that we talked about in this article. 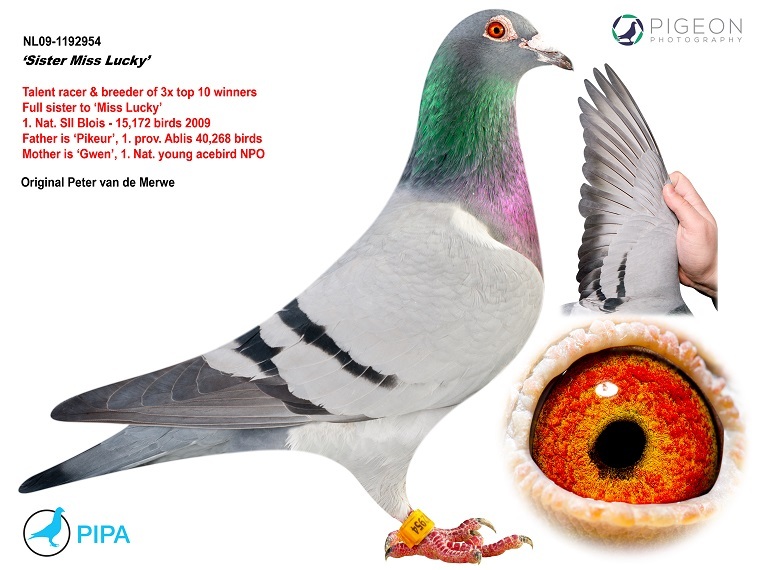 For instance, NL05-1400951 Amigo (one of Replay's most valuable youngsters) can be found in the pedigree of each of the four prize winners that featured in this report. This 1st NPO Argenton will probably not be the last major win for 2017. We have the national one day long distance race from Chateauroux and several young birds' races NPO coming up, so we expect Peter and Gwen to get a few other great results in the near future as well.